White Beach | MoalboalGuide.com - your guide to amazing Moalboal, Cebu, Philippines! Welcome to your Moalboal Guide! Moalboal's White Beach is a short ride away from Panagsama Beach and is a nice quiet beach that is frequented by locals (especially on the weekend!). White Beach is slowly being more developed every year. You'll find several resorts in the area perfect for relaxing. 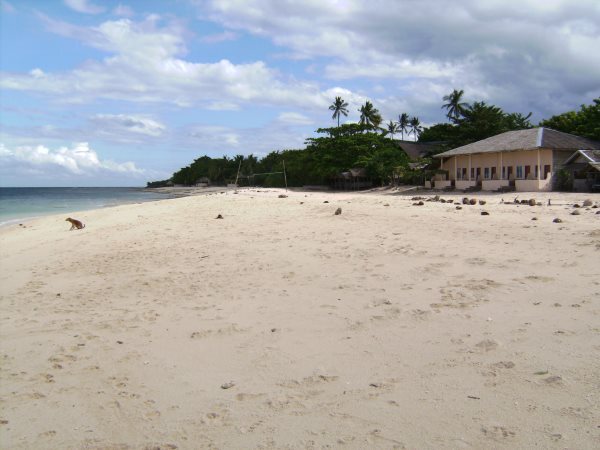 Getting to White Beach is as simple as taking a tricycle from Panagsama or Moalboal town. Are you ready to find a hotel or resort in Moalboal? We have many hotels, resorts and cottages listed in the Moalboal area as well as elsewhere in Cebu.